Pastor Robert Whightsel was born and raised in Columbus, Ohio. Married to Shari Whightsel March, 1984 and currently resides in Reynoldsburg, Oh. He served for 31 years at Covenant Evangelical CCCU in Gahanna in various positions, as well as serving in Music Evangelism Ministry throughout Ohio and the surrounding states. Pastor Robert answered the call to preach in 2011 and completed his Ordination Credentials with the Churches of Christ in Christian Union in June 2017. 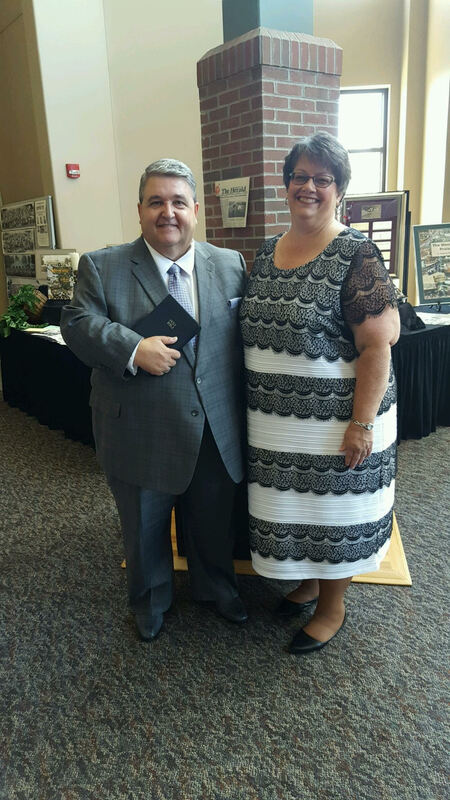 Pastor Robert and Shari relocated to Olive Green Church in November 2014, where Robert served as the Associate Pastor until Rev. Ken Mossor retired in 2018.